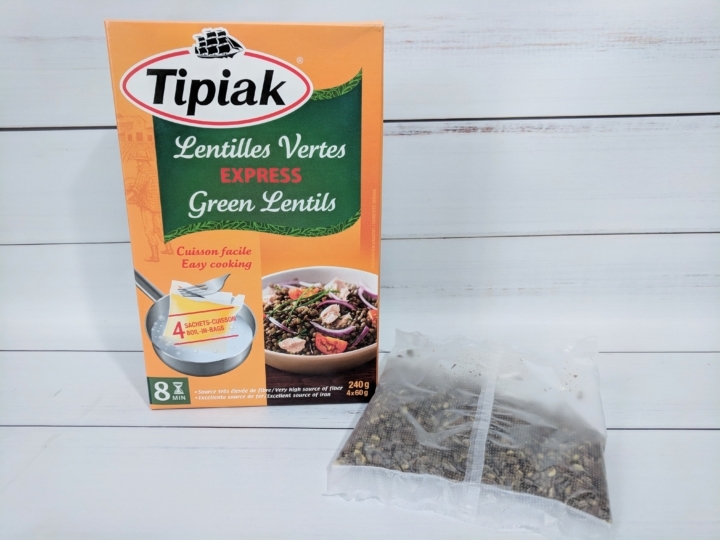 Tipiak Express – Green Lentils. I love the express couscous from Tipiak, and the lentils are not that different from them, except the cooking time needed. 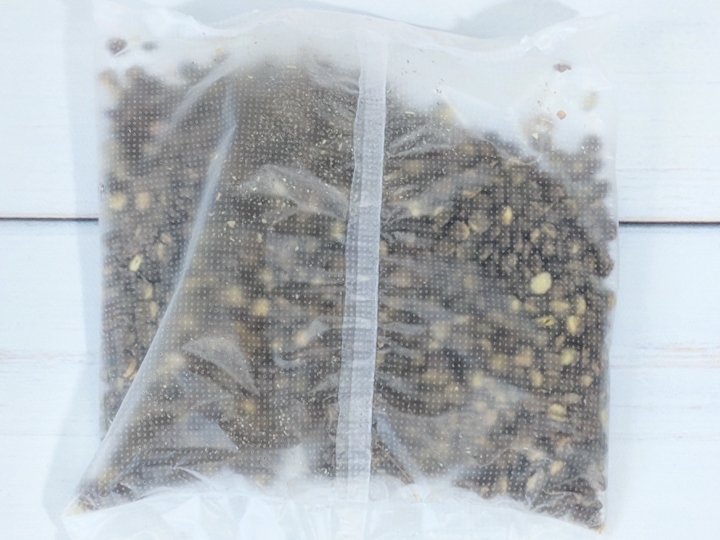 The lentils are already portioned out so you just have to drop a bag in boiling water and remove after 8 minutes. The bags are full of tiny holes, and they are really easy to open in a bowl without burning yourself! You then seasoned them to taste for a quick side dish. 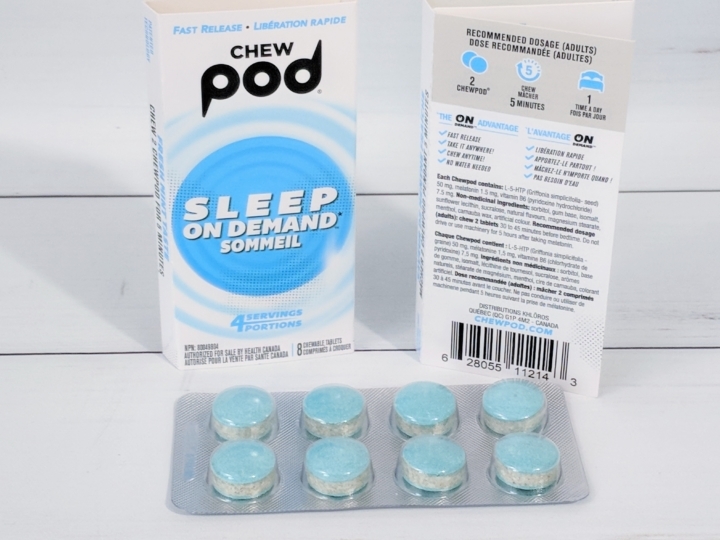 Chew Pod Sleep on Demand. These chew pods have a fresh minty taste, but not to cool to give you a kick of energy! They contain 50mg of L-5-HTP (increase the production of serotonin and can be used for insomnia, migraine, PMS, PMDD and so on), 1.5mg of melatonin and 7.5mg of vitamin B6. I don’t know if it’s because I was already tired and had a very tough week, but I fell asleep on the couch after chewing ONE pod, while a dose is TWO pods! 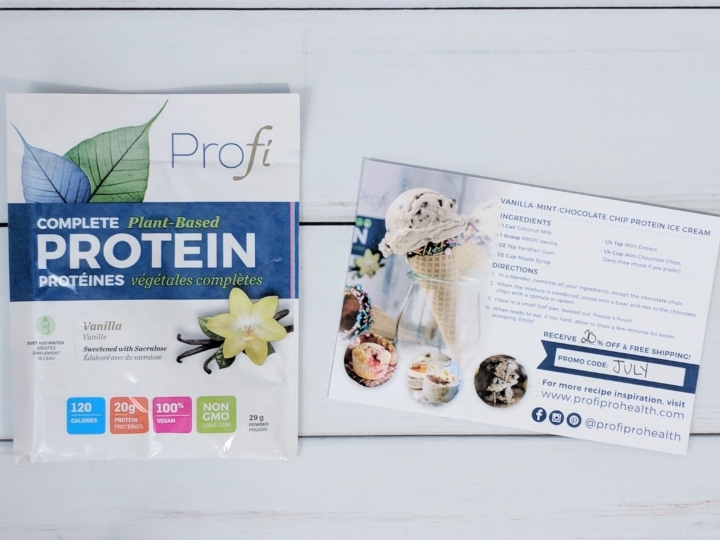 Profi Complet Plant-Based Protein – Vanilla. 100% Vegan with 120 calories for 20g of protein, this powder can be added to the liquid of your choice to make a delicious smoothie or snack. 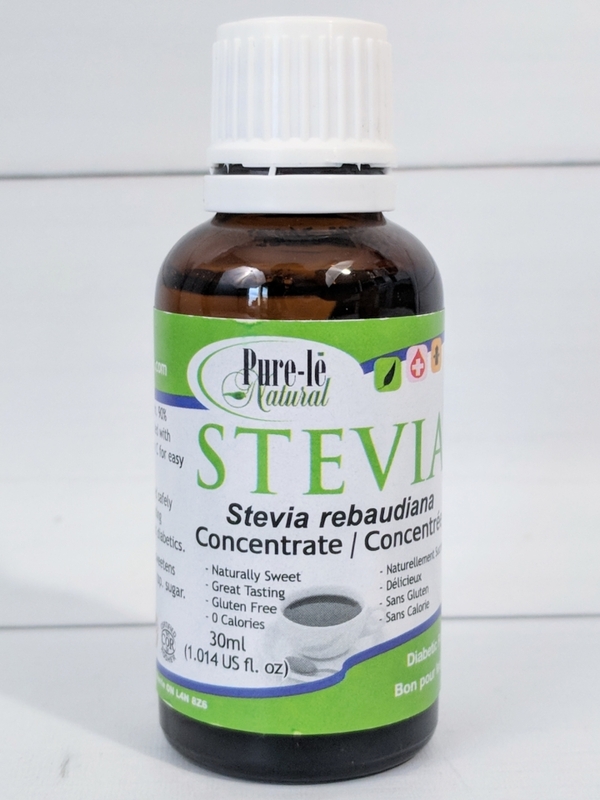 Pure- Lé Natural – Stevia concentrate. 1/8tsp of stevia concentrate can replace 1tsp of sugar in any cooking, hot or cold beverage, in smoothies and even in frozen dessert. When you look at the ingredient list, you’ll notice that this concentrate also contains Vitamin C, which I think gives this concentrate a weird flavor. 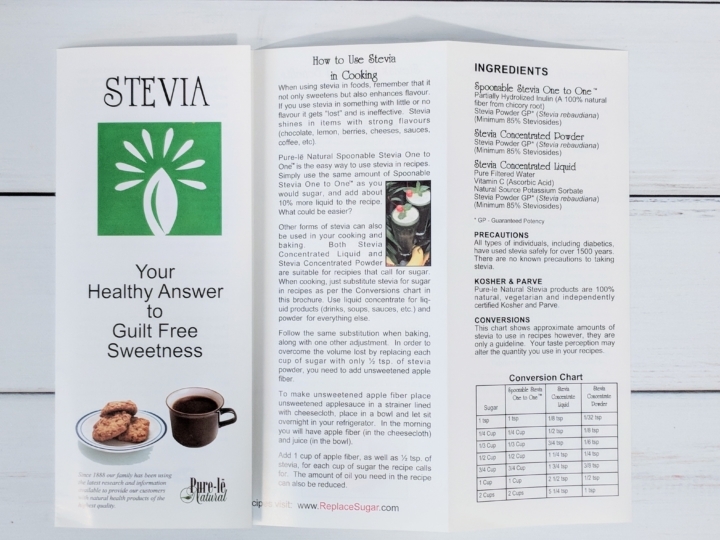 But I don’t like stevia to start with, so YMMV. 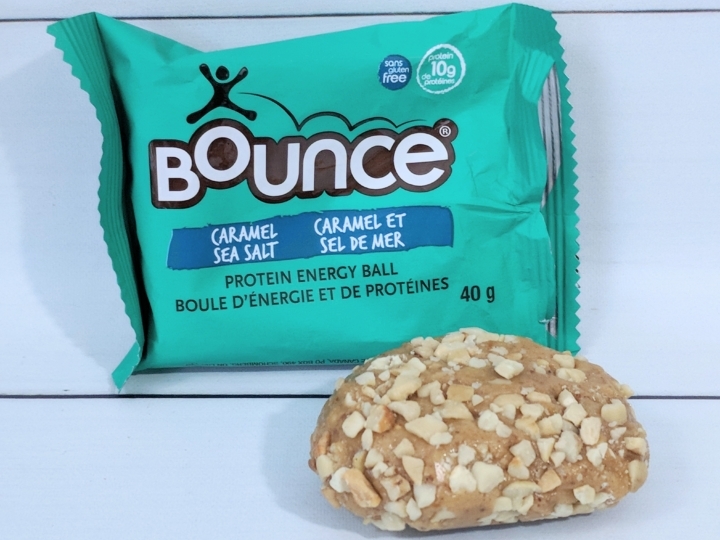 Bounce Protein Energy Ball – Caramel Sea Salt. 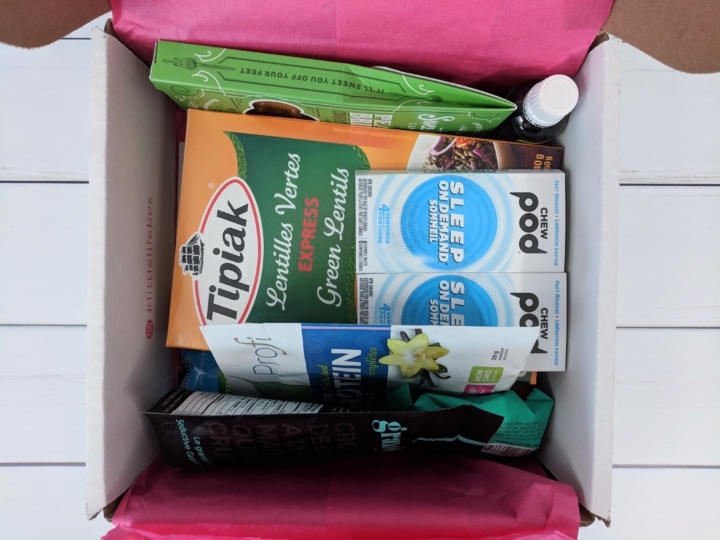 If you read my snack boxes reviews, you’ll know that I LOVE all the products from Bounce, and the caramel sea salt might have become my favorite so far! It has that nice caramel flavor, without being overly sweet. I love it! 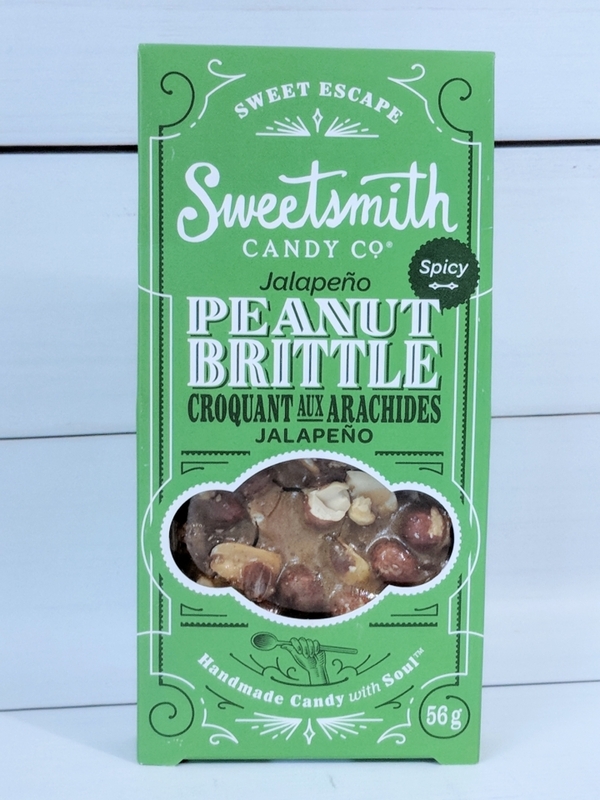 SweetSmith Jalapeno Peanut Brittle. Soft roasted peanuts covered with a delicious spicy caramel! I’m used to spicy food, so this brittle had just a nice little afterkick. It was delicious! 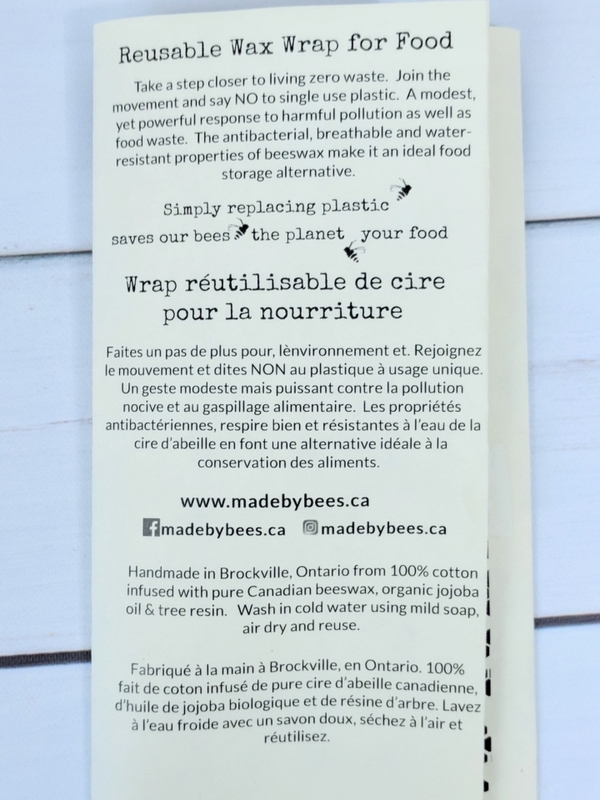 Beeswax Wrap. 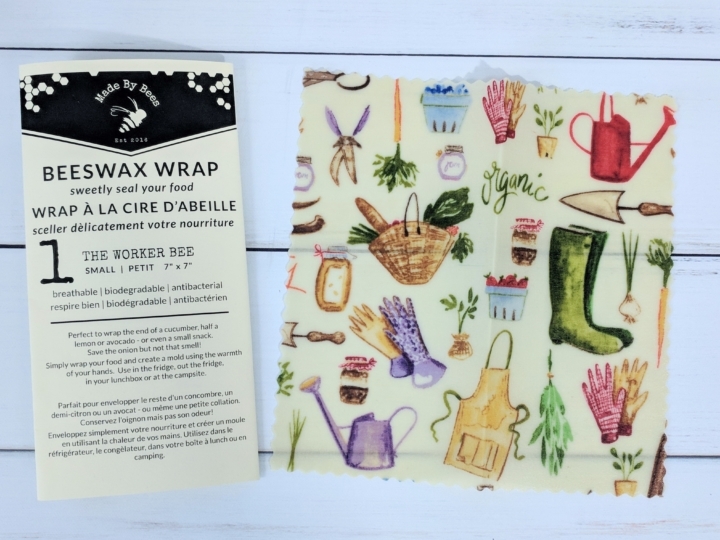 A wrap made with beeswax and organic cotton, perfect to seal your food. 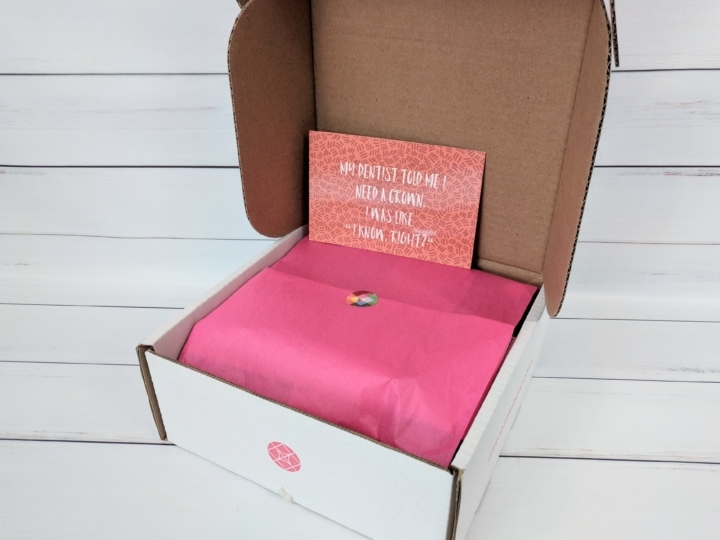 It’s a reusable wrap to replace plastic ones. They are easy to clean, they have a fresh honey wax scent, and are cute looking! A nice way to wrap that half avocado in style! It works by warming it in your hand to make it soft and create a seal. I really like this item, and I’m already looking at getting more to cover my leftovers for the next day. 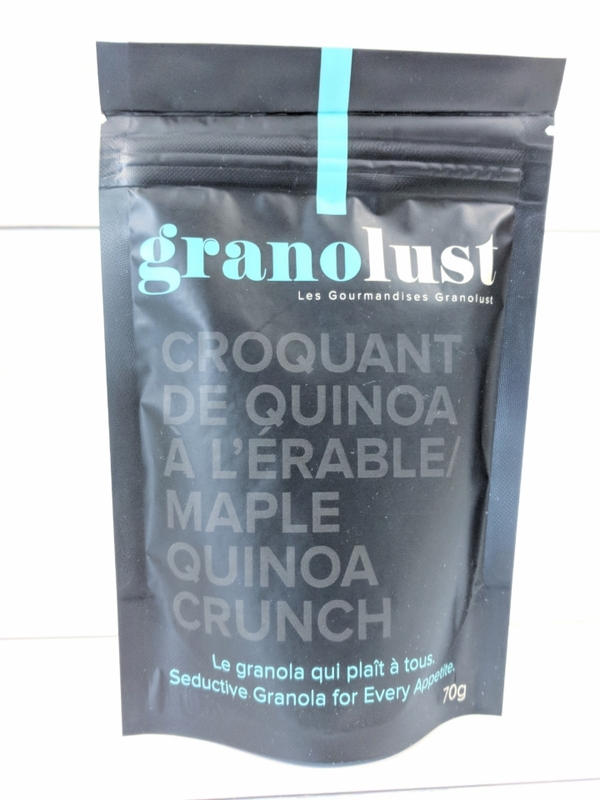 GranoLust – Maple Quinoa Crunch. I love granola. In soy milk, on top of yogurt or ice cream, in a salad, as a snack, anything goes. It has puffed quinoa, pumpkin and flax seeds, unsweetened coconut and a hint of Maple syrup. 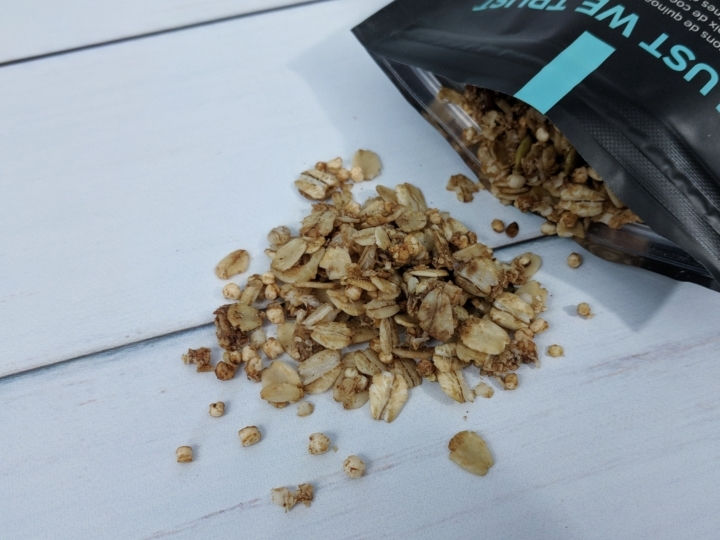 It’s a really nice softer granola. 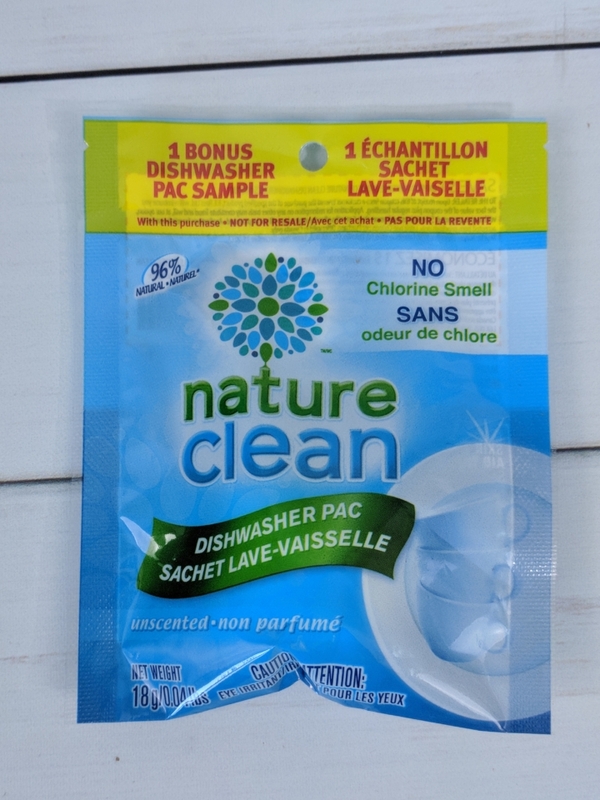 Nature Clean Dishwasher Pac – Sample. Nature Clean is already a company I use a lot of product from, and I find their dishwasher pack efficient. I like that they have an unscented pod. Even though we didn’t get a lot of snacks, I really enjoyed getting the green lentils express as I love lentils and this helps to make a quick and easy side dish. 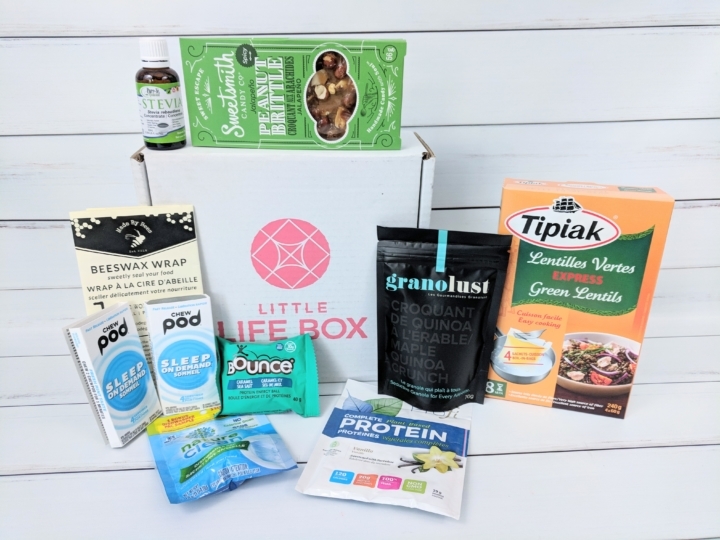 I’m also really happy to try a beeswax wrap and the bounce protein ball is one of my favorite protein snacks! 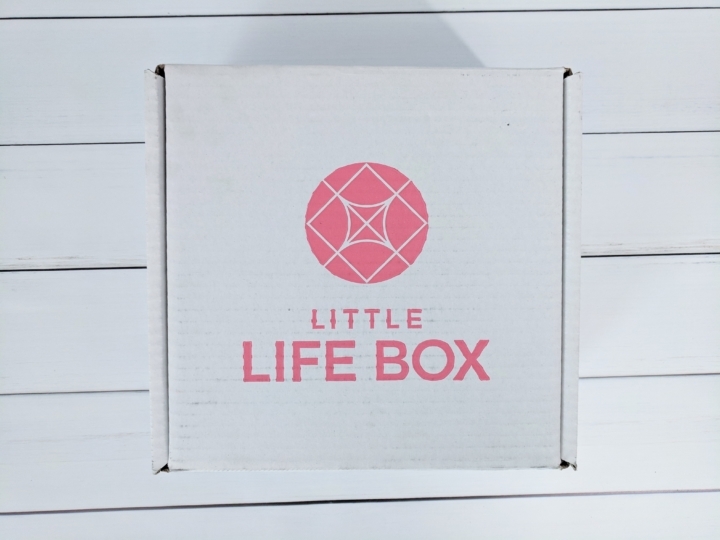 Overall, a very nice box. 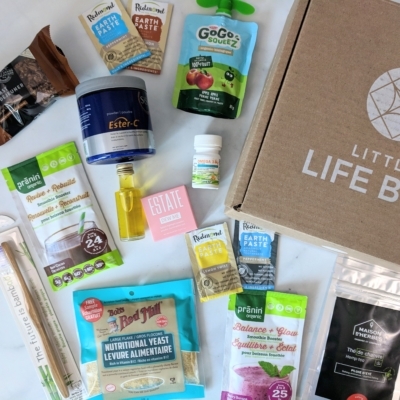 What did you think of March’s Little Life Box?